The Edinburgh Compact Voice Survey 2019 is now open for responses. The survey gathers data from organisations in the third sector in Edinburgh providing a collective picture of the state of the city’s charity and voluntary organisations. To make sure this picture is accurate, it’s important that voices from all sizes of organisations in Edinburgh, whether or not it has paid staff. Jan-Bert van den Berg, Chair of Edinburgh Compact, said: “A strong collective voice for the third sector depends on us being able to clearly illustrate the scope, scale and impact of what we do. Data from the survey is compiled and produced as a report, which provides a useful tool for both the public and voluntary sectors. The Edinburgh Compact Voice Report offers readers the chance to look at the makeup of the sector in Edinburgh, highlight what economic and social value it brings to the City, how it contributes to the city priorities and how partnership working is viewed. Now in its fifth year, this year’s survey will look back to the start when Edinburgh’s third sector said it wanted more recognition from public sector partners and greater collaboration and ask – has this happened or not? The survey is open for responses until the end of February and can be accessed here. Compact Chair and EVOC Convenor, Jan-Bert van den Berg gives his end of year reflection on Edinburgh Compact and looks forward to what can be achieved in 2019. We should not underestimate the power of communities in providing us with the answers in addressing inequalities. In the Compact, the third sector comes together with colleagues from NHS, the City Council, Fire and Rescue and Police to explore how we can work more closely together to address the pressures faced by those who experience poverty and health inequalities. It is a worrying state of affairs that a city as rich as Edinburgh still experiences the level of inequality that it does. Schemes to change this come and go, often little changes in the global figures. Why is this and what can we do to change it? We need to continue to make sure that those affected are directly involved in shaping the solutions. Too often we, with all the best intentions, do things to people rather than with people. Recent initiatives by the third sector, with its Commission on Prevention, and the city council, with its commission on Poverty, are working towards a different way of involving people. It is a good start, however the proof, as they say, will be in the pudding. How we act on the experiences we hear about and how we will involve people in creating the solutions is what ultimately will be important. We have been talking a lot about doing things differently and the conclusion to that is simple. Recognise the power of people and communities, realise that the solutions they find are often the most effective. Those solutions might not always fit neatly into the systems that we have created or the strategies that we have carefully crafted. It is our willingness to adapt and work across disciplines and boundaries that will make the difference. The Compact is ready for that challenge and looks forward to a productive new year. 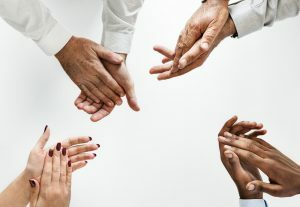 The social capital element of the Edinburgh HIF 2019-2022 has been included in the Edinburgh Integrated Joint Board (IJB) grants programme. Therefore the HIF will now have a specific focus on early years support and early interventions for children and young people. The main areas of work will concentrate on mental wellbeing and resilience among children and young people, and parenting and attachment. Further detail on this will be provided through the procurement process. In consultation with third sector partners, a decision has been made to delay the HIF application process until after the outcome of the Edinburgh IJB grants is known. It is anticipated therefore that the HIF funding portal will go live on Monday 7th January 2019 and remain open until 12pm on Monday 4th February 2019. The final HIF funding decisions will be made by Friday 22nd February 2019. If you wish to bid for this funding please ensure you have registered with the Public Contracts Scotland Portal as soon as possible: https://www.publiccontractsscotland.gov.uk/register/register_start.aspx. A ‘meet the funders’ event will be held on Tuesday 15th January 2019 from 2-4pm (at The Sanctuary, Augustine United Church, George IV Bridge, Edinburgh) where NHS Lothian Procurement will outline the process of making a funding application and there will be an opportunity to discuss any issues. 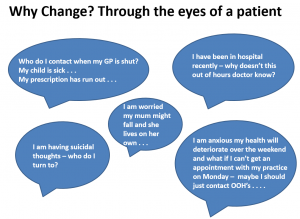 If you have any queries about this please contact Kerry.Murray@nhslothian.scot.nhs.uk. The Communities and Families Choose Youth Work Citywide Programme for 2019-20 is now open. The closing date for applications is 3pm on 1 February 2019 and you will find the application pack available for downloading. The maximum value of award is £15,000 and the minimum will be £10,000. Should you have any questions about the programme please contact chooseyouthwork@edinburgh.gov.uk or telephone 0131 529 6507 or 0131 529 2132. Information about the Localities’ Choose Youth Work programmes will be available soon. Edinburgh Voluntary Organisations’ Council (EVOC) sits down with Lord Provost, Frank Ross to discuss the overarching vision for the city of Edinburgh. 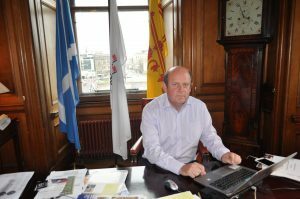 Although everyone, even people who don’t live in Edinburgh but may work or have family here, is welcome to have their say – the Lord Provost explains that the city vision depends on being informed by younger generations. The vision itself will be based on opinions and data collected from respondents by Marketing Edinburgh. An initial market test of a few thousand people revealed that the emerging themes were that people wanted their city to be: fair, connected, greener and affordable. However, the Lord Provost pointed out that this was only a small sample and that the success of making sure the vision fits with what people actually think will depend on participation. When it becomes clear what Edinburgh’s own view is of what its future should like, the 2050 vision will provide the city’s leaders with a ‘guiding light’ when taking decisions. The Lord Provost continued: “The vision should give us a moral compass about what it is that we want our city to be. When I’m making a decision, is that what the city wants? The whole point of having the vision is to check decisions against a big bright light in the sky and say if that’s not compatible, I’ll need to look at it again. We’ve made decisions too myopically. It is hoped that the 2050 City Vision will provide the city’s businesses and organisations with a solid foundation upon which to build their strategies to meet the needs of the city’s residents. Data collected from people’s responses will be anonymised and uploaded to an open resource, which businesses can access. The Lord Provost hopes that this sharing of information will create a joined up approach to putting the city vision into motion. It would seem that some of Edinburgh’s organisations are fully on board, as £450,000 to fund the project has been raised by the Council privately, invested by businesses who believe that they can benefit from an understanding of what the city wants. “Edinburgh is phenomenal for volunteering and volunteering will have its place in delivering whatever the vision turns out to be. We are talking about being integrated, about being a happier society, about being encouraging, inclusive and aspirational – these are things which I think volunteering can assist. The Council is confident that a city vision for Edinburgh can change the way that decision making is made, with mass participation in the consultation being the key factor. With a view over Princes Street from the windows of the impressive Provost suite within the City Chambers, the conversation continued around the importance of the Third Sector in bringing voices seldom heard into the discussion. 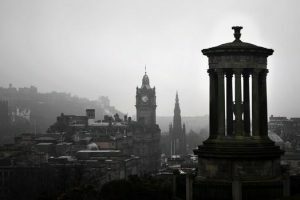 You can share your vision at https://www.edinburgh2050.com/ and encourage others to get involved. After 18 years in its current home at 14 Ashley Place, EVOC will be moving to new premises located at 525 Ferry Road from Monday 29th October 2018. Our main telephone number and email addresses will remain the same. With the current building due to be demolished, EVOC has been able to secure a spacious and open plan workspace that it will share with other third sector organisations, fostering a spirit of collaboration and partnership working. Ella Simpson, CEO of EVOC said: “Given that 14 Ashley Place was secured 18 years ago as a temporary home for EVOC, our time here has come to a natural end. We are very excited to move to new premises and about working creatively within a shared workspace. Amongst others, EVOC will share this new space with Edinburgh Palette, the organisation responsible for the community of makers, designers, artists, creative enterprises and charities initially based at St Margaret’s House. To celebrate, EVOC will be hosting an ‘Open Office’ day on Thursday 6th December between 10am and 4pm. 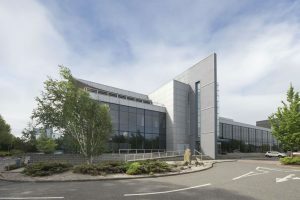 Guests are invited to enjoy tea and cake and a tour of EVOC’s new home. Please do not e-mail us if you have already been in touch regarding this or have received an automated e-mail receipt from H&SCGrants@edinburgh.gov.uk – this may have gone into your junk/bulk folder, please check before contacting us. ‘Open All Hours’ : A Lothian-wide Third Sector Event to explore ideas preventing the need for, and enhancing the delivery of, out of hours care. NHS Lothian and the four Lothian IJBs are currently working together to redesign care services for primary care out of hours periods – namely evenings/overnight, weekends and public holidays. This event will bring together the senior decision makers of the Programme Board and third sector organisations to explore ideas and discuss how we might develop proposals to support patient needs. To view the event flyer click here. To download the event powerpoint click here. The Edinburgh Integration Joint Board (EIJB) 2019 Grants Programme is now open for applications. The deadline for submission is Monday 1 October 2018. Information about contacts, websites, email address for submission etc can be found in the Prospectus and Guidance. Edinburgh Compact is a city wide partnership between the public and third sectors which seeks to influence public policy and encourage closer collaborative working between voluntary organisations such as Edinburgh Voluntary Organisations’ Council, Volunteer Edinburgh and the Police, Fire and Rescue Service and Health and Social Care Partnership. Membership is made up of a range of individuals working in the public and voluntary sectors including its Chair, Jan-Bert van den Berg. This refreshing approach has been built up over three decades of working in the arts and culture sector in Edinburgh, with community arts charity ArtLink. Jan-Bert brings his creative thinking to Edinburgh Compact, thinking of ways that the public sector and third sector can work together across boundaries to make things better for communities and individuals. He said: “I remember doing a drawing class in Art College and the tutor asked me to look at spaces in between objects rather than the object itself. That has stayed with me whilst I work across these boundaries.